Charlesview, Inc. is a nonprofit organization that has been dedicated to building community in Allston-Brighton for more than 40 years. 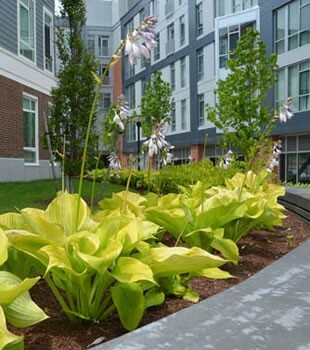 Our achievements began with the development of Charlesview Apartments in Allston in 1969 and more recently include the creation of the new Charlesview Residences along Western Avenue in Brighton, Massachusetts. We invite you to learn more about us, to find out about rental and homeownership opportunities at the new Charlesview Residences and to see what’s happening at our exciting new Charlesview Community Center. Building on tradition and finding new ways to pursue our mission. In 1969 five congregations joined together to found Charlesview, Inc. and build Charlesview Apartments to provide quality affordable housing and preserve a close-knit community. 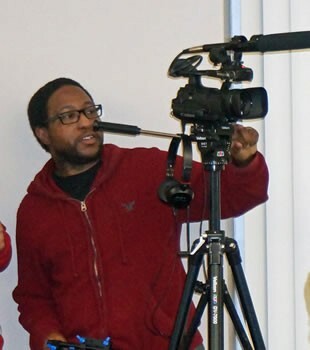 Today, three of the congregations – St. Anthony’s Catholic Church, Community United Methodist Church and Congregation Kadimah-Toras Moshe – still actively manage Charlesview, Inc., working to preserve and strengthen the Allston-Brighton community. The new Charlesview Residences and the Community Center will bring many new ways to pursue our mission. See what resources are available in the Allston-Brighton community. 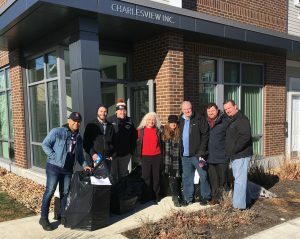 Christmas came early to the children at Charlesview when our wonderful State, City and Community Representatives dropped of bags of toys from their annual toy drive. Thank you Representative Mike Moran, Representative Kevin Honan, Office of Neighborhood Services Warren O’Reily, Anabelle Gomes from the BAIA and their elves, Craig, Tim, Daniel and Oscar. We appreciate you and all you do for the Allston/Brighton Community. 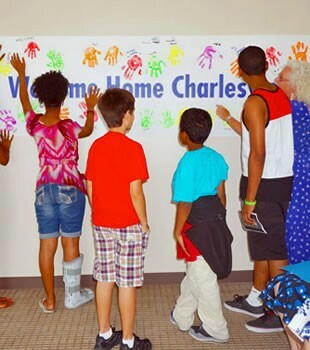 Charlesview, Inc. recently awarded its third year of grant awards to local non-profits. 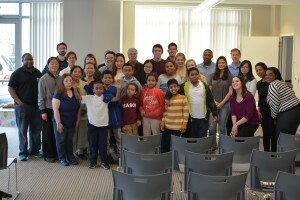 The awards were presented earlier this month by Board Member Etta Anderson to Commonwheels Bicycle Collective, Community Rowing, Inc. Family Nurturing Centers of Massachusetts, Jewish Community Housing for the Elderly, Oak Square YMCA, West End House Boys and Girls Club, Gardner Pilot Academy and Saint Columbkille Partnership School. 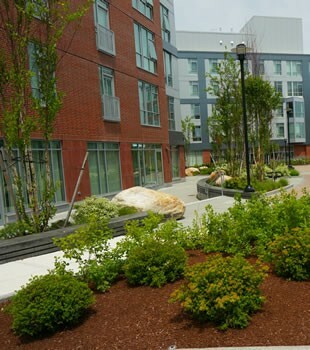 BOSTON October 9, 2015 — The Charlesview Residences and The Town Homes at Brighton Mills in the Allston-Brighton neighborhood of Boston, Mass., were selected as recipients of the 2015 Urban Land Institute (ULI) Terwilliger Center for Housing Jack Kemp Excellence in Affordable and Workforce Housing Award. The award—announced Wednesday Oct. 7 —honors developments that ensure housing affordability for people with a range of incomes. ULI established the Jack Kemp Excellence in Affordable and Workforce Housing Award in 2008, naming it in memory of Jack Kemp, former secretary of the U.S. Department of Housing and Urban Development and ULI Twerlinger Center national advisory board member. 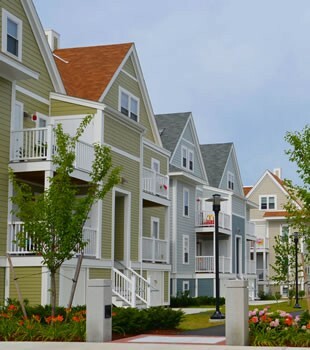 The award is given annually to affordable and workforce housing developments that represent outstanding achievements in several areas, including affordability, innovative financing and building technologies, proximity to employment centers and transportation hubs, quality of design, involvement of public/private partnerships, and replicability of the development, among other criteria. State Representative Honan stops by Community Center to encourage hard work and training to improve job prospects for homeless families. 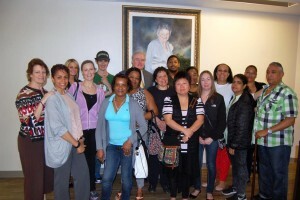 On June 9th, State Representative Kevin Honan (co-Chairman of the Joint Committee on Housing) stopped by Metropolitan Boston Housing Partnership’s KEYS workshop at the Josephine A. Fiorentino Community Center at Charlesview Residences in Brighton to meet attendees and encourage them in their hard work. 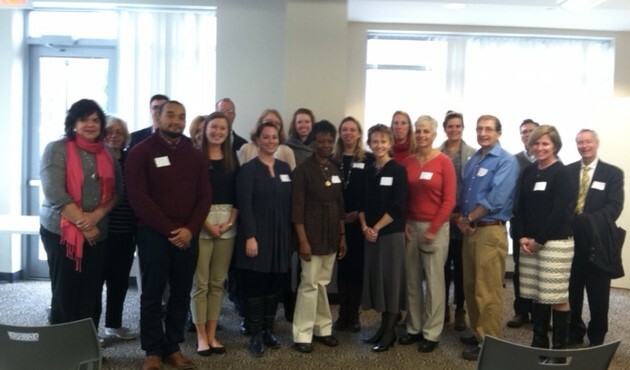 The workshop for homeless families placed in hotels in the Allston-Brighton area was held by Jewish Vocational Services to give participants the skills and training they need to improve their job prospects and increase their incomes. 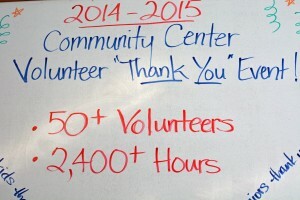 Community Center says “Thank You” to all its volunteers! The Community Center recognizes and thanks to its volunteers for their commitment and outstanding contributions at a reception on Friday, April 17.